Located in Yellowstone National Park, Lake Lodge Cabins - Inside the Park is on the waterfront, within a 15-minute drive of Fishing Bridge and Hayden Valley. Free self parking is available onsite. 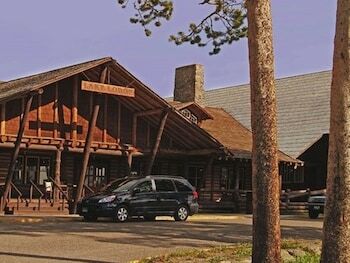 When you stay at Old Faithful Inn - Inside the Park in Yellowstone National Park, you'll be in a national park, within a 10-minute walk of Old Faithful and Castle Geyser.